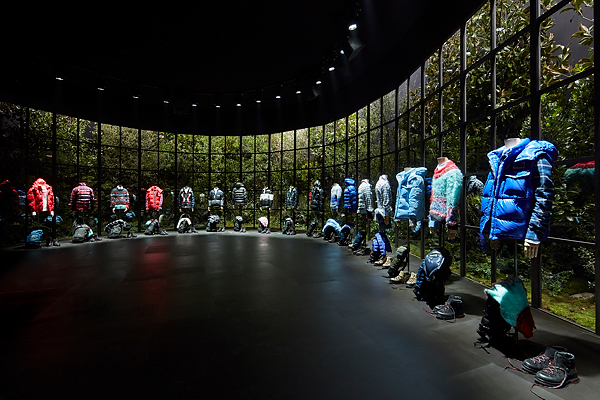 Moncler has always been dedicated to innovation and that vision is once again represented in their newest project. The project, Moncler Genius, will feature collections from multiple designers, and figure-heads, allowing for a mosaic of aesthetics and personalities to shine. The culmination of the project is a singular design highlighting the diversity of the eight separate collections that will be launched. The first section is curated by musician and record producer, Hiroshi Fujiwara. Launching in two parts, the first section debuts today and the second in December. The collection’s hip-hop inspiration gives the clothes major electric vibes, combining Moncler DNA and backstage streetwear. The line of jackets includes detachable stickers with the words “Moncler Fragment.” The color palette is primarily black with hues of navy, white, and military green. Fujiwara puts his own spin on the classic Moncler jacket giving us major concert vibes. The collection debuted in Florence and should be available online worldwide by the end of the week. The second half of the collection, which builds on the current foundation, will be released in December.